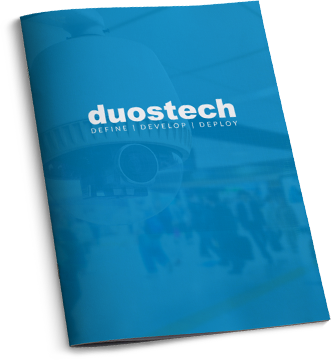 Duos Technologies Group, Inc. provides intelligent security analytical technology solutions with a strong portfolio of intellectual property. The Company's core competencies include advanced intelligent technologies that are delivered through its proprietary integrated enterprise command and control platform, centraco™. The Company provides its broad range of technology solutions with an emphasis on mission critical security, inspection and operations within the rail, utilities, petrochemical, healthcare, and hospitality sectors.